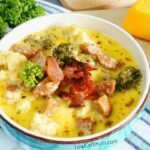 An easy keto breakfast idea to make your life easier on busy days. 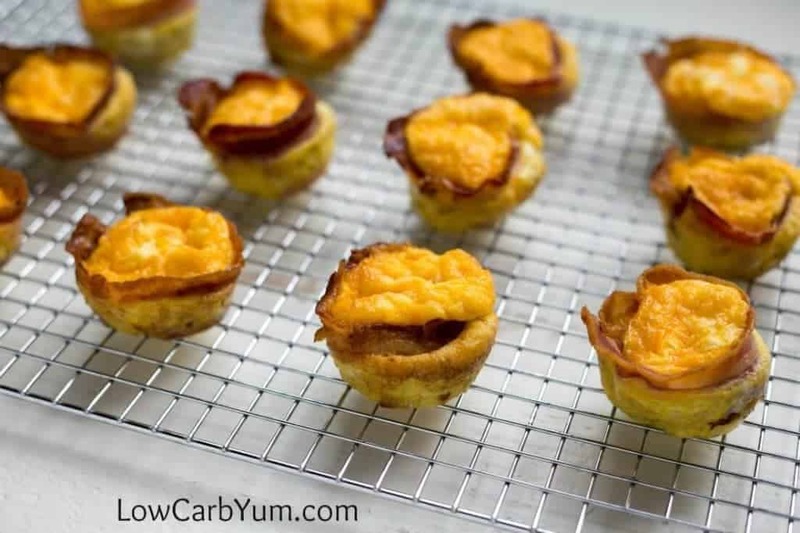 Try these 3-ingredient low carb bacon egg muffins for a quick low carb meal on the go! The holiday season is always the busiest time of the year for me. It can really be overwhelming. 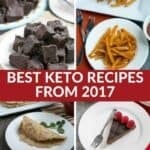 That’s why I’m always looking for ways to cut down my time on food prep with quick low carb recipes. I often pre-make meals ahead on the weekend to free up time during the week. Since I leave super early in the morning for work, breakfast is a meal I have little time for. 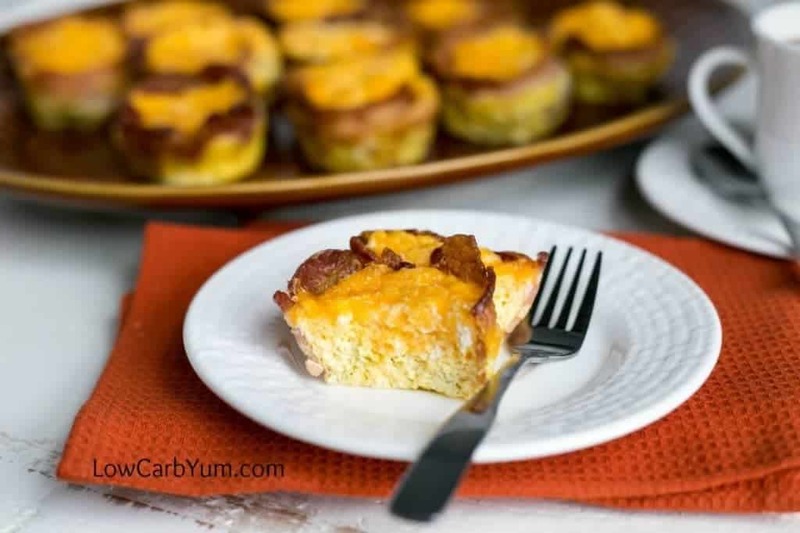 These low carb bacon egg muffins are something I have been making for years. They are perfect to make ahead and take along to work each morning. 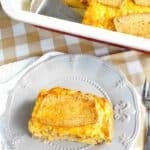 And they are one of the easiest grab and go breakfast ideas! 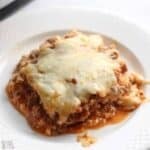 Not only do these save me time during the week, they are really simple to whip up on the weekends. And, they only require three basic ingredients! Breakfast egg muffins are a cinch to make! 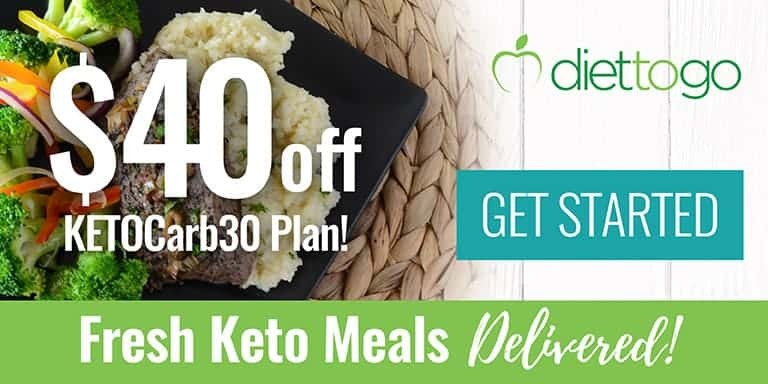 And they are low carb, keto-friendly, and gluten free. And each one is only 1g of carb. 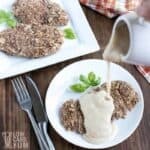 So this recipe should be included on your list of keto breakfast ideas! Even if you add in some veggies, the muffins should still be well under 5 grams of net carbs. First, you’ll want to pre-cook the bacon so it’s fully cooked without overcooking the eggs. Baking bacon is the best method to use because the strips keep their shape and you don’t have to watch over the stove top. For these bacon egg muffins, I place the bacon strips on racks over baking pans. Then they are baked at 400°F for 10-12 minutes. The bacon is removed before it gets crisp and then the oven is reduced to a temperature of 350°F. Each slice of bacon is then wrapped along the sides of each cup in a muffin pan. 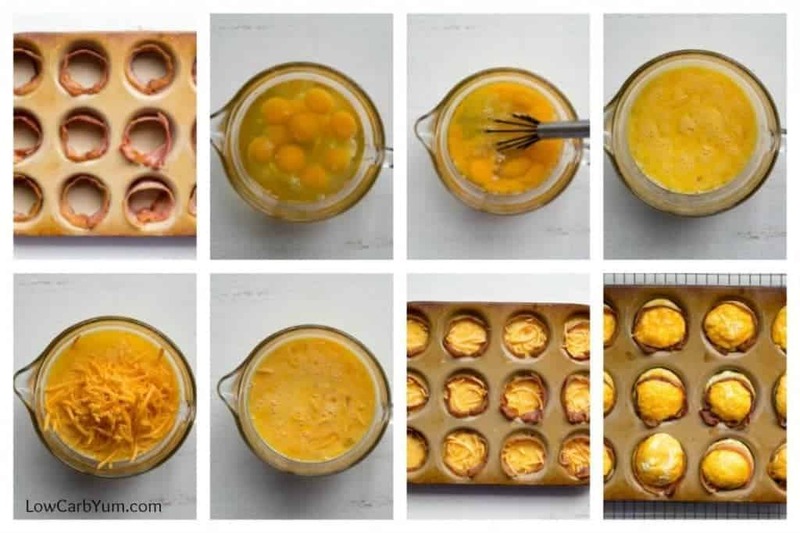 Since the recipe makes 12 muffins cups, you’ll need a 12 cup pan. 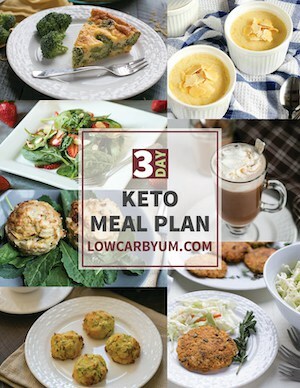 I use one egg per muffin so to make a dozen of these keto egg muffins, you’ll need a whole carton of eggs. You could bake the eggs whole if you’d like, but I prefer beating them up first for more of a low carb frittata muffin. And then I add in some salt and pepper along with some grated cheddar cheese. Sometimes, I’ll add in a little chopped green onions too. Because of the bacon grease, the muffin cups shouldn’t need to be sprayed. But if needed, some non stick cooking spray can be used before the egg mixture is added. Can you freeze bacon and egg muffins? 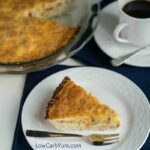 You can make these low carb breakfast muffins in advanced and store them in the refrigerator or freezer. Then, you’ll just need to reheat them in the microwave before serving. Or you can reheat them in a low temperature oven if serving a lot at once. These bacon wrapped egg cups are one of my essential recipes when I’m doing keto meal prep. I like to keep a batch in the freezer for an easy way to have breakfast ready fast so I can get out of the kitchen quickly. And they are super portable to throw in a cooler bag or eat on the way to work. 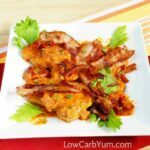 The recipe makes one dozen low carb egg muffins wrapped in bacon. 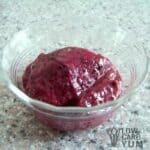 But, you can easily double or triple the recipe depending on the number of servings you need. You’ll just need to make sure you have enough muffin tins to bake them in. And, you’ll need to fit them all in your oven. My oven easily fits three muffin tin pans. 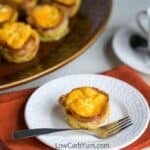 These low carb bacon egg cups are perfect to prepare in advance when you have overnight guests or family. That way you can spend more time with them in the morning instead of making breakfast. Having breakfast already prepared will save you tons of time. And, you’ll be able to sleep in longer because your first meal is ready to go! 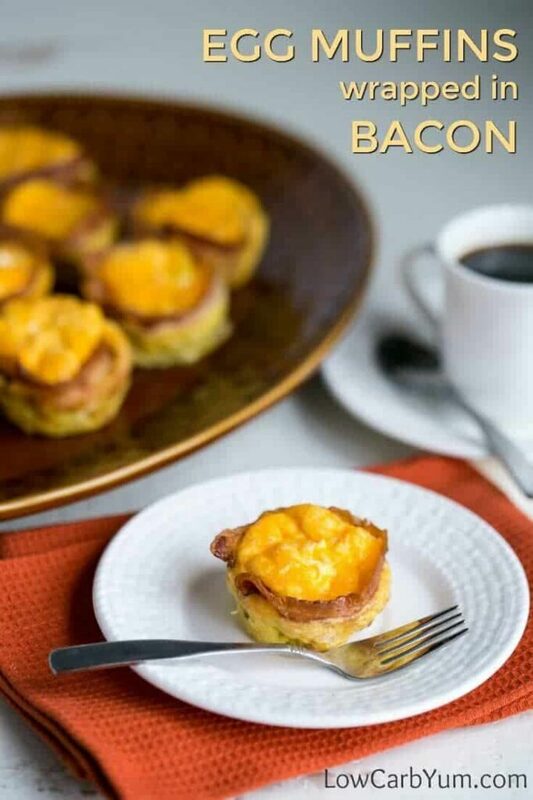 Even if you guests aren’t following the low carb way of eating, they will appreciate these tasty bacon egg muffins. Eggs with cheese and bacon are always a welcomed way to start the day. If you decide to make these up fresh in the morning, the preparation does go quick. There’s also no standing at the stove as everything is baked in the oven. Like most people that live a low carb lifestyle, I go through a lot of bacon. So I like to keep a stash of nitrate-free and sugar-free bacon in the freezer. These low carb egg muffins are just one of the many recipes I like to make. 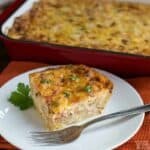 Need an easy keto breakfast idea to make your life easier? 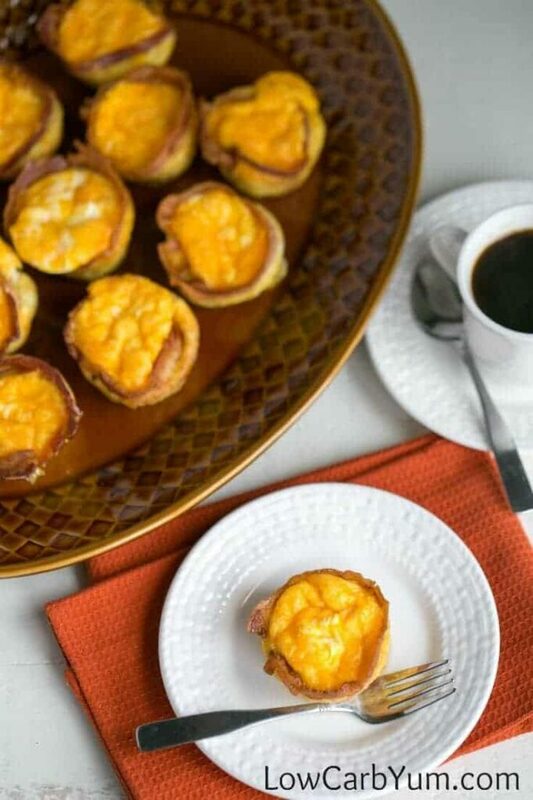 Try these 3-ingredient low carb bacon egg cups. 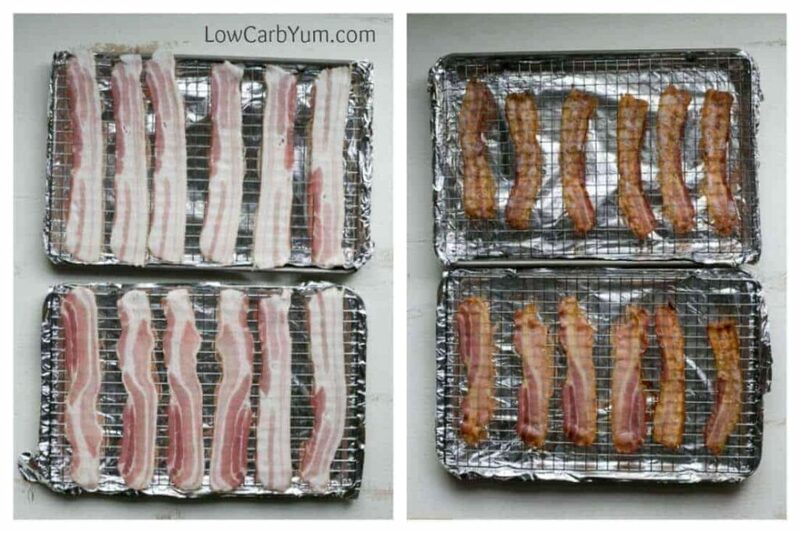 Place bacon on wire racks over a rimmed baking pan. 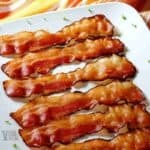 Bake bacon in 400°F oven for 10-12 minutes. Bacon should be taken out before getting crisp. Spray muffin tins with non-stick spray if needed. Line each tin with bacon. Whisk eggs in medium mixing bowl. Stir in grated cheese. Divide egg mixture between muffin tins. Bake for about 25 minutes at 350°F or until eggs are set. Remove muffins from tins. Serve warm. The eggs can be added whole if desired, placing 1 egg in each cup. This results in a baked egg style cup versus a frittata. Mushrooms can be added too and the cheese can be changed to another variety. Post updated in March 2019. Originally published in November 2016.